As business leaders, we see the direct influence of globalization, consumerization and digitalization across the breadth of business functionalities. So find high quality dog leash here. 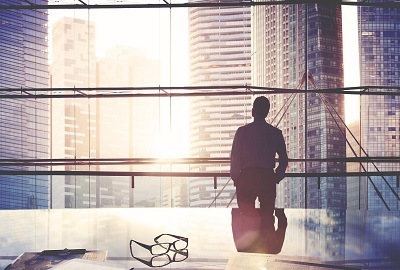 Although these trends vary by industry, geography and company, we’d be remiss to imagine that the future of the C-suite will remain unaffected. This matters not only for our current roles and succession plans, but also for the training programs we set in place to prepare millennials for executive leadership. The typical career path, skills sets, and traits of a visionary business leader are evolving significantly enough to warrant a thorough analysis, evaluation and forward-thinking strategy. Business savvy was once enough to get someone to the top of the corporate ladder. But frankly, this is no longer the case. Technical skills inside a specific function, such as IT, operations, or finance, are a good start, but by themselves they don’t provide a comprehensive understanding of a holistic business model. As the executive suite sees more significant impact from the generational shift that’s well underway in the US workforce, it is increasingly clear that technical and functional skills must be strongly complemented by soft skills. Visionary leaders require exceptional communication skills. This doesn’t merely imply they can get their message across; it also means they must be able to listen effectively, and empathetically assess their colleagues’ emotions. This combination fuels collaboration, which is key to the changing business landscape. Although executive leaders are still spearheading their own departments and teams, it is increasingly clear that a less hierarchical business model is taking precedence. Leading without relying on overt ranking takes strategic collaboration and relationship building. Essentially, they need to build trust with every level of stakeholder, and this takes more than mere business savvy. As discussed, it’s clear that functional skills are becoming more of a foundation than a focus. Furthermore, it’s evident that the capability to perform outside of a specific discipline is equally important. We’re seeing more and more leaders with a significant amount in common with their executive peers; they need to be agile, responding efficiently to the changing marketplace and economic trends, no matter what their function. The ability to scale a business and create sustainable growth requires that teams work together in a cohesive business unit, integrating operational processes across a range of functions. For the CIO, for instance, this requires a big-picture perspective of how technology impacts business strategy, opportunities and effectiveness. As for the CFO, he or she must act as more than just an accounting head; the role requires experience with both technology and operations in order to develop and implement analytical financial systems – that’s in addition to the skills to conduct extensive interaction with key stakeholders. Cross-functional skills are vital to assisting with high-impact business decisions and comprehensive, growth-oriented business strategy. Future business leaders will be responsible for more than their own functional business unit. It should present little surprise that cross-functionality requires a more diverse background in both education and work experience. For example, the long standing trend is that CEOs have a degree in business, economics, or accounting, while many also have MBAs on top of that. However, as a deeper understanding of all business functions becomes more important to leading a cohesive team, a diverse background will become much more valuable. In some instances, this means a degree or background in engineering, computer science, political science, marketing or communications. It also means that the traditional corporate ladder doesn’t look as linear or confined as it has in the past. Growing within one discipline and ascending the ranks of that particular function doesn’t allow for gaining the broader knowledge, experience and interpersonal connection necessary for developing a holistic business vision. As business leaders, we need an inside view and ground-level knowledge to make sure all the moving parts are in-sync. To this end, a narrow career path is severely limiting. While functional fluency is critical in every business unit, a company needs diversity in order to run as a well-oiled machine. Additionally, faced with the challenges of globalization, creative problem solving is key, and this is rarely achieved without dynamic experience and comprehensive analytical thought. Ultimately, there is still a real reason why today’s executives got where they are. They have the traits of a visionary business leader that have stood the test of time and will continue to do so well into the future. These are the forward-thinking individuals who are willing and able to take calculated risks while simultaneously being strategically action-oriented. They thrive in complex environments and inherently know how to drive success through team execution. They are resilient, independent and pragmatic. They know how to build trust, and as such have built rich networks of valuable connections over the years. The C-suite is high intensity and high pressure, and leaders in these positions must know how to cope without burning out. At Slayton Search Partners, we seek key players who can transform an organization for the better. We look for individuals who fulfill these traits of a visionary business leader in order to meet the needs of our clients. Let us know how we can assist with your executive recruiting needs today. PREVIOUS POST How Do We Prepare Millennials for Executive Leadership? Need key players at the helm of your company? We have the experience and approach to find them. Our recent executive placements are great examples of the work we do with industry leaders and respected clients. Our team of leading search executives has deep access to a network of outstanding executives and knows what it takes to recruit the best.